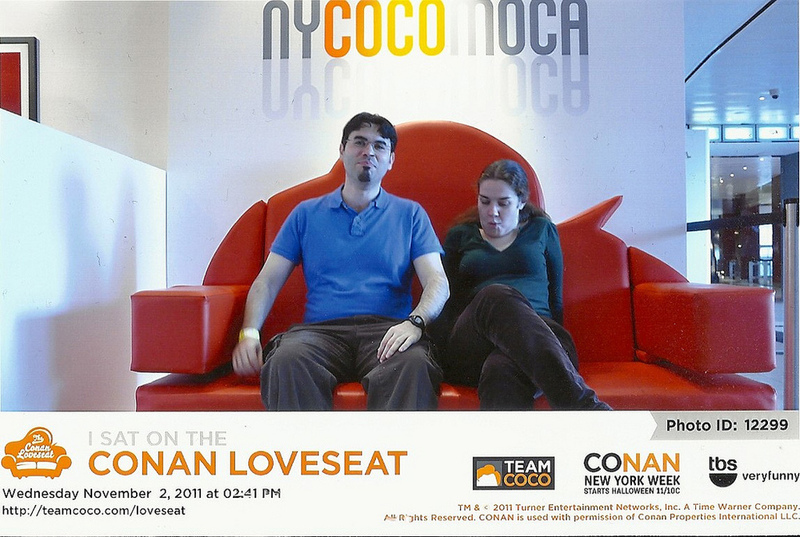 The Conan Loveseat, a 500 pound animatronic hugging couch that hugs, massages, and even whispers sweet nothings in your ear. 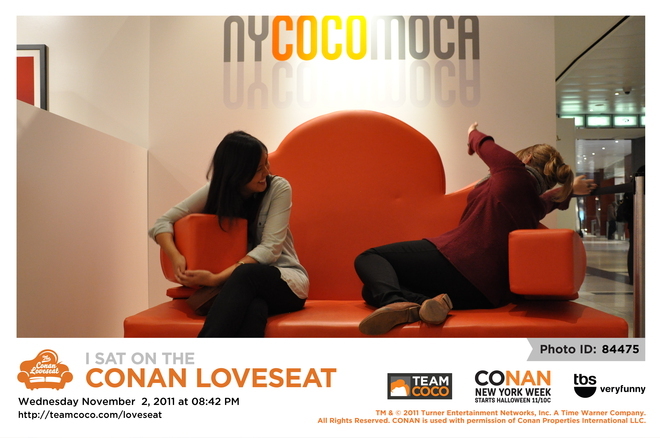 Conan came by to test it out himself. 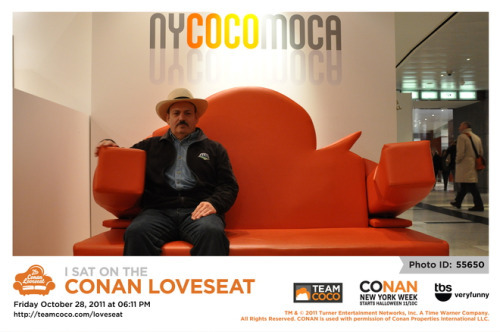 Even La Bamba (pictured, bottom right) came to sit on the Conan Loveseat. The loveseat was a success, and people lined up around the block to pop a squat. 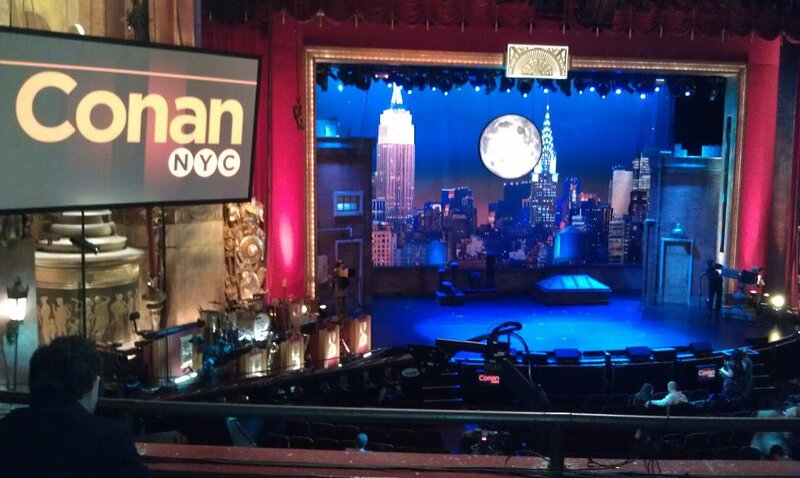 More importantly, Conan was able to give New Yorkers the hug they deserve (Well, his bright orange cloth-covered doppelganger did, at least).